The seventh instalment in the relentless action-movie franchise, Fast & Furious 7 is the brashest, noisiest, and most ludicrously outrageous in the series so far. It’s also an unexpectedly tender farewell to departed star Paul Walker, who was killed in a car crash in 2013. Director James Wan had to resort to doubles and CGI to complete the film, but Walker’s blue-eyed charisma still shines through. With newcomers Jason Statham (vengeful British black-ops badass), Kurt Russell (slick CIA spook) and Nathalie Emmanuel (kidnapped hacker) thrown into the mix with old favourites Vin Diesel, Dwayne Johnson and Jordana Brewster, the plot doesn’t make much sense. Nevertheless, it’s a perfectly serviceable peg on which to hang the over-the-top action sequences. 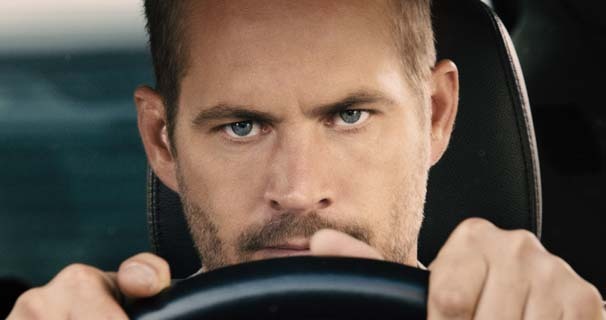 Expect the Fast and Furious crew to top these hair-raising scenes next time, but they’ll never match the poignancy of seeing Walker at the wheel for one last sunset ride. Certificate 12. Runtime 132 mins. Director James Wan. , courtesy of Universal Studios.